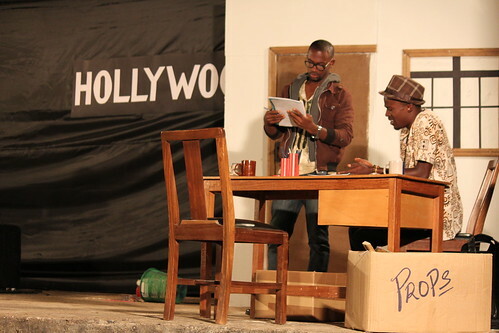 Africa Ukoh’s brilliant play 54 Silhouettes is ongoing right now in Abuja at the French Institut in Wuse II, off Aminu Kano Crescent (Beside Mr. Biggs) and it will also be performed tomorrow, Friday same place. 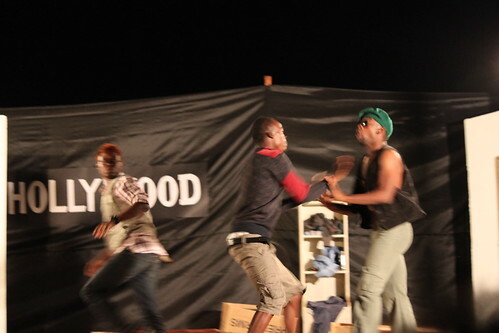 The pre-show activities start at 6pm and the play itself at 7pm. 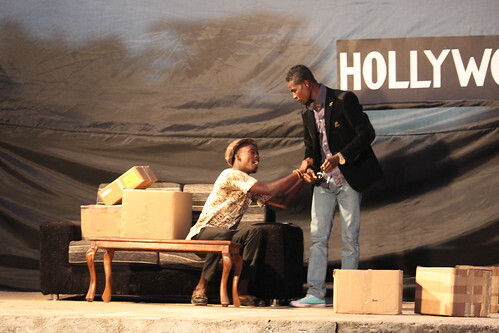 The tickets are N2000. 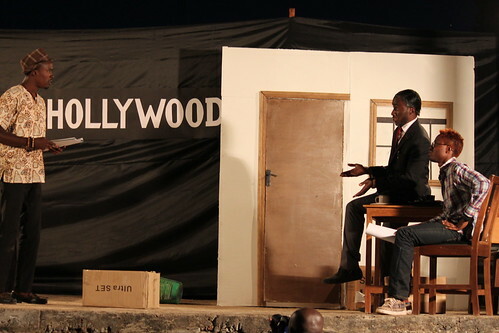 Anyway, I was honoured to be able to attend the premiere stage performance of Africa Ukoh‘s play 54 Silhouettes in Jos on 16 November 2013. 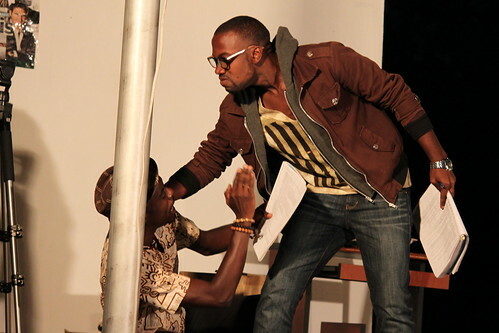 The play, which won the Stratford East/30 Nigeria House Award also won first runner up in the BBC African Performance Prize and was performed for radio on BBC, which you can listen to here. I thought the stage performance was even better than the radio performance. 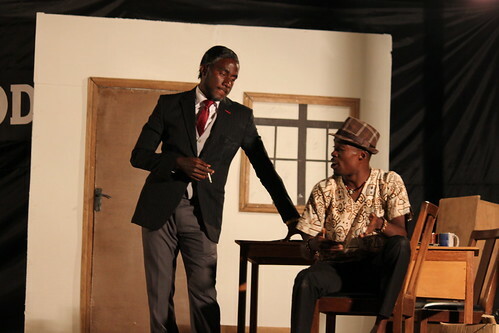 I liked the character interpretation better in the stage performance, perhaps because the playwright Africa Ukoh himself was directing it. 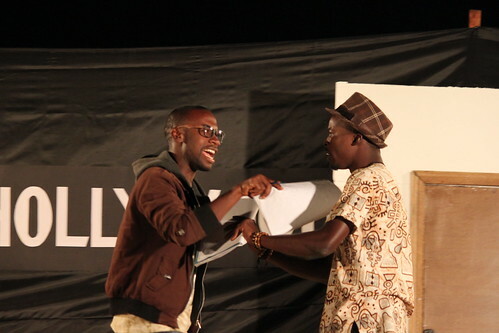 (And I must admit that Chimezie’s accent in the radio performance kind of irritated me…. 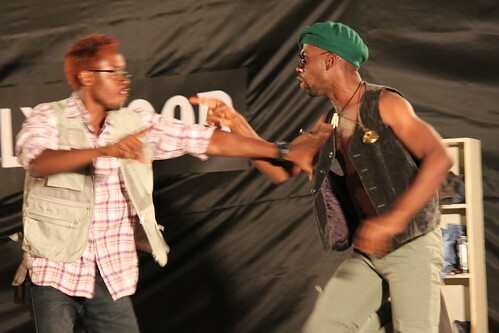 I thought Promise Ebichi, who played Chimezie in the stage performance, was much better.) 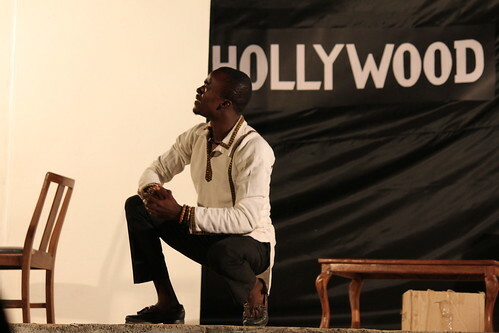 I had gone because I saw that the performance was about a Nigerian actor trying to make it in Hollywood, and I am (and have been for years) obsessed with metafiction, that is self-reflexive fiction that is in someway about the creative process. 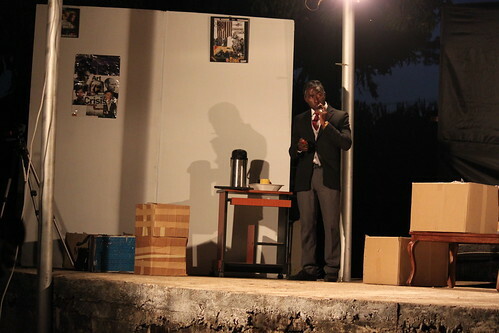 I am so delighted that my random interest in the theme (well… not completely random, because I have been working all week on a “metafiction” chapter in my dissertation) landed me at the premiere stage performance of a really fantastic play. 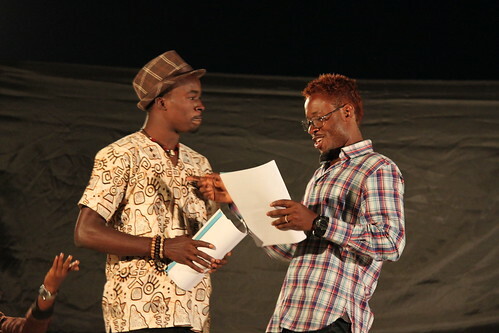 African Accent, though he cannot or will not correctly pronounce Chimezie’s name. 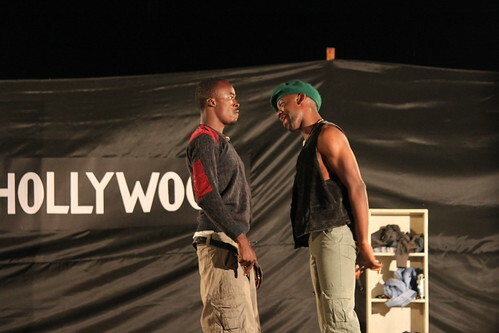 He only keeps his real name “Kayode Adetoba” because “the sheer oddity of it gets me attention and makes me stand out.” Tobi also becomes more and more incensed at Chimezie’s challenge to his acting skills. 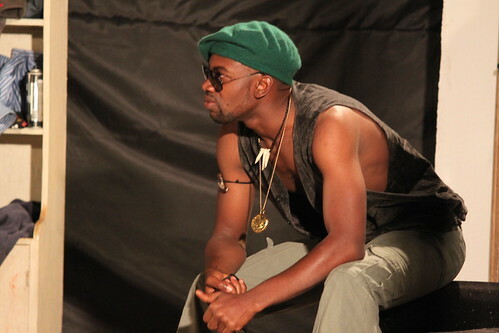 Playing a deep-voiced warlord with a name of ambiguous origin who says things like “You are an African. 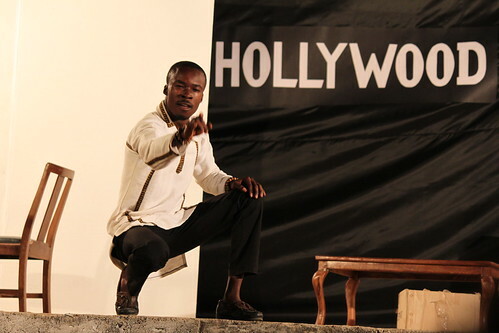 There is beastliness in your blood, and I shall unleash it” is fine by him, as long as he maintains his career as Hollywood’s token African. 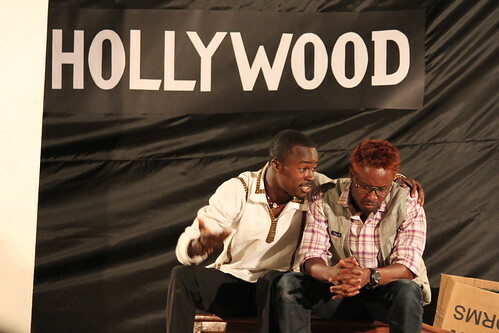 As you can see from these brief character sketches, the play is filled with biting dialogue that satirizes Hollywood representations of Africa. 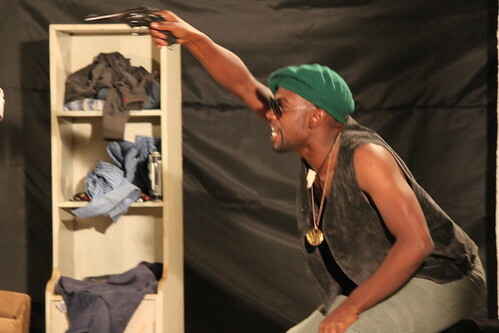 It slyly mocks everything from the generic African accents, to the focus on the suffering of white characters in Africa (in this case a saintly Irish priest about to be murdered by a child soldier), to the violence of “African” characters set in Nigeria with no precise identifying name, history, or location, to the casting of “Hollywood” actors in Nigerian roles, that is remniscent of the whole brouhaha surrounding the casting of Thandie Newton as Olanna in the recent film adaptation of Chimamanda Ngozi Adichie’s bestselling novel Half of a Yellow Sun. 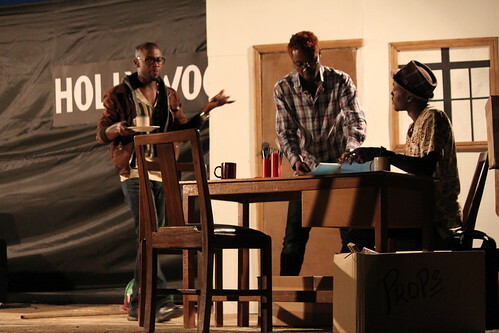 If you are in Abuja tomorrow, go see it. 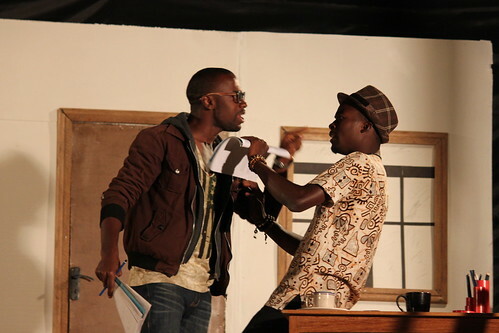 The play is supposed to come back to Jos sometime in January. I’ll update this blog when I find out the date, but it is definitely worth it. 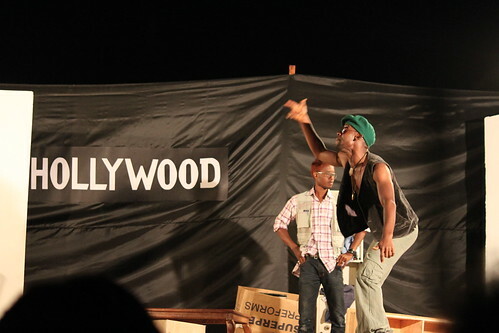 In the meantime follow Africa Ukoh’s Art Theatre blog for updates. Stay tuned also for my own photos of the premiere performance whenever in the next century they upload.